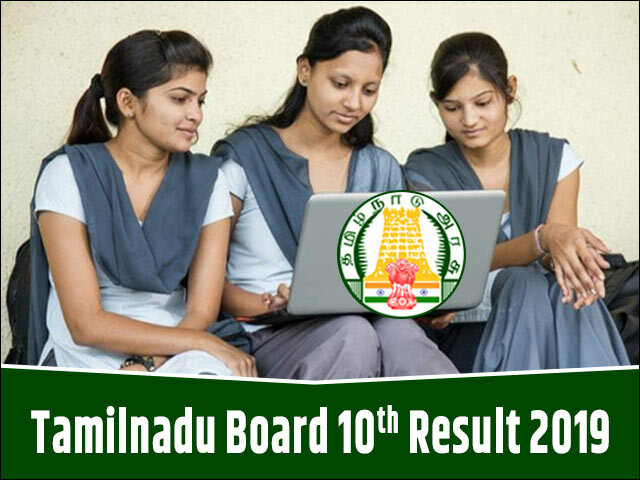 Tamil Nadu Board 10th Result 2019- As per the latest notification released by the DGE, The Tamil Nadu Board 10th Result 2019 will be declared on April 29, 2019. Amidst the speculations around the TN SSLC Result 2019, the exact date has been announced by the Tamil Nadu Board. Candidates will be able to access their year-long hard work through the Tamil Nadu Board 10th Result 2019 on April 29, 2019. The Tamil Nadu, for immediate access, will upload the Tamil Nadu SSLC Result 2019 on its official website- tnresults.nic.in. Candidates will need to visit the website and enter their details such as registration number and date of birth in order to download their Tamil Nadu Board 10th Result 2019. JagranJosh will also provide a live link to check the Tamil Nadu Board Class 10 result on this page of the website once they are formally announced. So we advise the students to bookmark this page to receive regular updates about the Tamil Nadu Board Class 10 result 2019. For detailed information and latest updates on TN SSLC Result 2019 including online checking procedure, last year's result statistics; read the article below. The DGE, Tamil Nadu has released an official notification for the examination schedule for Tamil Nadu Class 10 board exam. Notification about the declaration date of Tamil Nadu Board 10th result 2019, however, has not been released. Thus, judging from the previous year’s trends it is expected that the result of Tamil Nadu Class 10 board will be declared by the last week of May. We would like to urge the students to not believe in rumour mills that generate an abundance of misinformation regarding the Tamil Nadu Board Class 10 result 2019. JagranJosh.com will provide authentic and verified information about Tamil Nadu Board 10th result 2019 on this page. You can also choose to receive email updates about the relevant information on Tamil Nadu Class 10 board result 2019. To receive these updates, fill in the form provided at the top of this page. Where to check Tamil Nadu 10th Board Result 2019? Students are often confused as to where to get information about Tamil Nadu Board Class 10 result. DGE will publish the Tamil Nadu 10th Board result 2019 on its official websites – tnresults.nic.in and dge.tn.nic.in once it is officially announced. However, a large number of students visiting the official websites at the same time might result in technical glitches causing trouble while checking of the Tamil Nadu Board Class 10 result 2019. So, as a solution to this problem, jagranjosh.com will provide an alternate option to check the Class 10 Tamil Nadu Board result 2019 through the link http://tamilnadu10.jagranjosh.com. Students can click on this link and check their result without any hassle. The Tamil Nadu Board class 10 result is an important point in the lives of the students awaiting the same. Students will be able to take admission to their 10+2 courses based on their Tamil Nadu Board Class 10 result 2019. With thousands of students crossing the threshold of 90+ marks, the performance of the students who appeared for the Tamil Nadu Class 10 Examinations in the past had improved over the years. Keeping the past records of the students in mind, the experts are of the opinion that this year also the candidates will give their best shot and will shatter all the previous year records. But it is also a fact that during results time, excitement and nervousness grab the mind of every candidate. One simple way of judging the competition and building the right expectations for the upcoming TN SSLC Results 2019 is by looking at the last year's result statistics. For the benefit of students, we have provided the same below. Last year, the Tamil Nadu Board had conducted the Class 10 exams from March 16, 2018 to April 20, 2018. The key figures of Tamil Nadu Board Class 10 result 2018 are as follows. How to Check TN Board Class 10 Result 2019? The Tamil Nadu Board of Secondary Education will formally announce the TN 10th Result 2019 on their official website i.e.tnresults.nic.in. However, considering that a large number of students who will try to check their TN Board Result 2019 on the official website simultaneously, there are probable chances that the students might encounter some technical problems. To avoid any such unwanted circumstances and to enable students for the hassle-free access to the results, we would be providing a direct link to the Tamil Nadu Board 10th Result 2019 on this page. From here, the students will be able to check their TN Board Result 2019 by providing essential details in the space provided and by clicking the 'submit' button. Soon after the submission of the form, the result will be displayed on the screen and will be available for download too. The students should instantly download their displayed results for future reference and it is advisable to take few printouts too, these can be used at the time of admission to next standard. What after Tamil Nadu Board 10th Result 2019? Once the students check their Tamil Nadu Board Class 10 result 2019, the next important step is to download the score card and also take a print out of the same for future reference. The downloaded copy of the scorecard will act as a provisional result status of the Tamil Nadu Board class 10 result until the original marksheet is released. The DGE will send the original marksheet to the schools and the students will be required to collect it from their respective institutions. The original marksheet of Tamil Nadu board class 10 result will be required for all official purposes. The DGE also provides the students unable to pass in the Tamil Nadu Board exam 2019 with an opportunity to prove themselves again. Students who failed in one or more exams in the board exam can opt for Tamil Nadu Board supplementary exam 2019. This exam will prevent an entire academic year from getting wasted. Students can appear in the supplementary exam of Tamil Nadu Board 2019 by filling in the online application form and paying the requisite application fee. The Tamil Nadu Board supplementary exam 2019 will be held in the month of September/October 2019. According to the dates released by the board, the class 10 examination will start from March 14 and will continue till March 29. The TN SSLC Supplementary Result 2018 and the June Provisional Mark Sheet has been declared by the Directorate of Government Examination, Tamil Nadu on its official website that is dge.tn.nic.in. The Tamil Nadu Board has declared the SSLC or Class 10th Results 2018 today on the official websites, i.e. www.tnresults.nic.in and dge1.tn.nic.in.